Many people suffer from small cavities. However, there are times when a regular filling will not solve the problem of decay. If the pulp of a tooth becomes infected, a person will begin to experience a toothache that will require action. Most times, a root canal procedure will be necessary to save the tooth. What Causes a Tooth’s Pulp to Become Infected? The American Dental Association has listed a few reasons why a tooth’s pulp may become infected. Deep Cavity. When decay has gotten severe, it penetrates deep within the layers of a tooth. As this occurs, the nerves in the pulp become negatively affected. Repeated Dental Procedure. When a tooth continuously needs to be drilled, it may damage a tremendous amount of structure and cause sensitivity. When pulp becomes exposed on a repeat basis, it can lead to infection. Cracked Tooth. When a tooth develops a crack, the interior is left susceptible to outside elements. Food and other debris can become caught, which can lead to bacteria buildup that leads to an infection. Tooth Injury. When a tooth becomes injured, it is possible for the nerves to become damaged. This can lead to pain and infection. 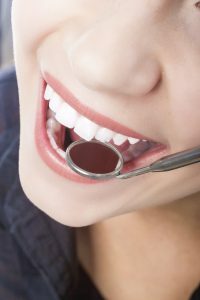 A dentist will determine whether or not a root canal will be a viable solution for your tooth problems. Many times, multiple issues will signal the need for this type of procedure. If you have a toothache and question whether a root canal procedure may be necessary, consult with Dr. Dana Walters. He is always available to help with your oral problems and offer tips that improve your dental care.